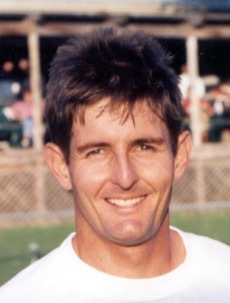 Christo van Rensburg played tennis professionally from 1983 to 1997. He was ranked in the top 20 in the world in singles and reached # 1 in the world in doubles with partner Paul Annacone, the coach of Pete Sampras, Tim Henman and Roger Federer. Christo had wins over Lendl, Connors, McEnroe, Becker and Sampras in singles. He also competed in mixed doubles events where he teamed up with the likes of Martina Hingis and played his last professional match at Wimbledon in 1997 with Venus Williams. During his 15 years on the tour, Christo played in 14 Wimbledons during his pro career and an extra 3 years in the senior invitational event and during that time was rewarded with 3 sportsmanship awards. Monica van Rensburg played Wimbledon at the record breaking age of 16, won 3 Team Tennis Championships, and played mixed doubles with Christo at Wimbledon. Monica and her sister Elna were selected to be included in the world's top women tennis professionals (WTA) calendar. Christo van Rensburg played with the smiley face logo during his professional career and was known as the guy with the smiley face logo. In 2002, Christo and his wife Monica, created F-ACE to reflect their long time winning attitude. The smiley face logo became F-ACE with a dash to have the double meaning of discribing the “smiley face” and the “ace” as that winning shot in sport. This dynamic duo along with Monica's sister Elna, played on the international pro tennis circuit for 15 years winning in excess of 50 titles between them. They competed in all the majors which included Wimbledon, The French Open, The US Open and The Australian Open. The F-ACE Brand is dedicated to helping players achieve their personal best and reflect a total winning attitude both on and off of the court and everywhere in between. Together they bring their positive attitude to you, the CUSTOMER.